NAT CASSIDY is a playwright, actor, director, musician, and the winner of 17 Indie Theater awards. 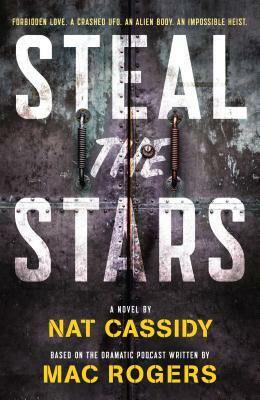 Steal the Stars is his first novel. "Doesn't so much raise the bar on audio drama as launch it into space." —Amal El-Mohtar, author of "Seasons of Glass and Iron"
"This is rad and you're gonna wanna get in on it." —Brooke Bolander, author of "Our Talons Can Crush Galaxies"